With the highest level of parasite control available, Eprinex® gives you more. More strength. More speed. More productivity. Parasites can reduce weight gain. However, trials have shown that treatment with Eprinex can increase weight gains. In one trial, at day 110, yearling cattle treated with Eprinex had gained 260 lbs. This was significantly more (P<0.05) than the 237.2 lbs gained by animals treated with Dectomax® (doramectin). This weight-gain advantage continued through the end of the trial. 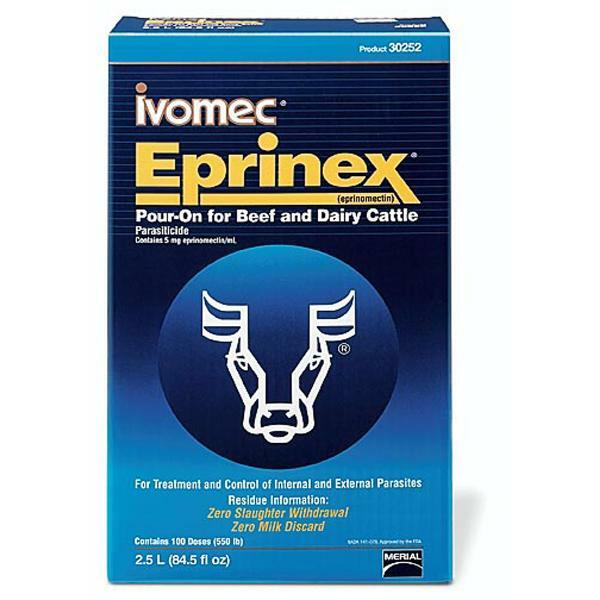 Ivomec® Eprinex® Pour-On for Beef/Dairy Cattle is formulated only for external application to beef and dairy cattle. The dose rate is 1 ml/10 kg (22 lb) of body weight.